An exclusive interview with Ashley Hutchings about his new album by Simon Jones. In September 1987 Ashley Hutchings released a truly remarkable and strikingly personal album, By Gloucester Docks I Sat Down & Wept. Detailing a love affair with painstaking references to his own feelings and the ensuing fallout it was the last thing you’d expect from the architect of British folk rock. Over thirty years later he has returned to the original to shape a sequel and provide some kind of closure. Simon Jones met with the Guv’nor to ask why now and to put the albums in context. It was the cover which first made me take notice. Sure the name said Ashley Hutchings but there was this clown with a huge tear on his right cheek staring at me from the cover. Was it Ashley Hutchings? Closer examination revealed that to be true. What was going on? I knew he’d dressed up in some crazy outfits for the Morris On albums but this album had an altogether different air. It seemed as if it was regretful, melancholy, perhaps pained. The illustrious roll call of musicians was as usual in ready order, some Albions and some newer names Mattacks, Taylor, Gregson, Collister, Zorn, Beer, Whetstone. Steve Ashley even popped up as did Hedgehog Pie piper Mick Doonan, Polly Bolton sang along with A.H. himself. The set was star studded to be sure. The label was new, Paradise and Thorns, opposites; maybe that said something. I had to play the record, so dropped it onto the deck. What came from the speakers was remarkable, the bed of the album was folk and rock blended with spoken words, snatches of letters, inner thought and contemplation, everything was bold in intention and candid in its detail, yet none were ever named, no blame or bitterness attended. Yes, there was regret, there was guilt and feelings which peaked one moment and troughed the next, it was a roller coaster ride through a cycle of love, a love that in truth could never be. 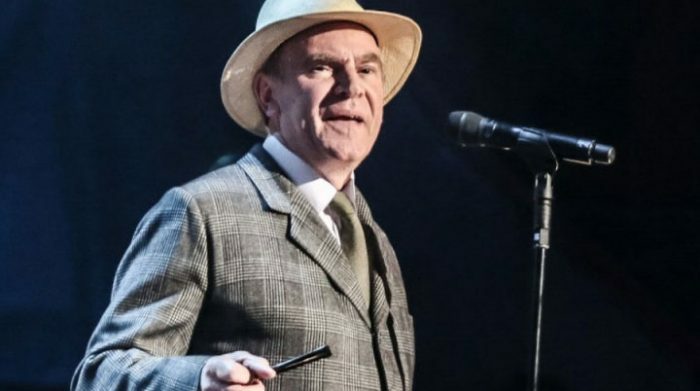 Ashley Hutchings had put it all in front of the listener, bravely saying yes I felt this, I did that, this is how it was, I hoped for different but…. when I’d played the album that but stayed. It lingered in the air somehow leaving unanswered questions and lots of what ifs. All this viewed through a Brief Encounter prism, musically the backdrop was country dance – and no I don’t mean the kind that wear Stetsons and boots- this was polkas, jigs and village hall hops. Before now folk rock artists had given us break up albums, John Martyn alternately raged and cooed about his ex-Beverley with Grace & Danger, Richard & Linda Thompson’s public spats were explored in growling depth on Shoot out The Lights. Both great albums, both birthed in tension. Gloucester Docks was the opposite of that, its interludes were romantic, its participants polite yet whilst growingly attracted also resigned to the inevitable, a bittersweet parting. I forget when I first met Ashley, I guess it was around the same time he moved north, near to Stockport as I recall. There had been an Albion gig in Macclesfield, after that I arranged an interview in which we covered the whole gamut of his career, a career he cared deeply about, choosing his words carefully and precisely, no question was left unanswered. The pride in the bands he’d founded which shaped a genre, Fairport Convention, Steeleye Span, The Albion Band was obvious. It was when we turned to his solo activities that I relayed the fact I thought that By Gloucester Docks was his personal triumph, he thanked me and said it held special resonance as far as he was concerned. Down the days since I’ve written lots more about Ashley and the Albions, met lots of his musical compatriots and a heavy percentage of them hold a healthy respect for Gloucester. The album itself spawned a live tour featuring many of those who played in the studio, recordings from the gigs came out as a CD on The Road Goes On Forever label under The All Stars banner. For a while that seemed to be that until archivists at Talking Elephant gave Gloucester a second life in dual format in 2013/15. It became one of their best sellers remaining in catalogue ever since, it stands on its own merits and there for any to explore. And if you’re reading this still not having heard it, you know what to do at this point. It was earlier this summer that I got a phone call from Ashley’s press officer, the excellent Stevie Horton, asking me if I wanted a copy of a special album and would I say what I thought. A mystery, intrigued I said naturally I would. When the package arrived I was pleasantly surprised by what I found, a CD which not only updated the story begun on By Gloucester Docks but included an extra disc of music, snatches of film, theatre readings and spoken pieces that widened the vision and landscape of the concept. Titled Paradise & Thorns again cryptic the notes inside were considered yet revelatory, matters had indeed moved on, it seemed opportune to speak again. Not only to ask about the new album but put the first release into perspective. I had a long list of questions, Ashley was amiable as ever. Gloucester Docks must have been a hard album even to consider, let alone release given your personal stake in it. They say pent up emotion does no good to anyone, was the original album a cathartic release or did it have a different impact on you? How hard was it to balance when you came to writing and selecting the material, you had to keep an even hand when this was your life you were writing about? Was it always going to be a mixture of sources? The original album stands as a complete whole, did you find that you had material left over or things you dropped for whatever reason? On the original album which are the key tracks in your thinking? The original musicians and readers for me were just the perfect blend for such an evocative album. Hand-picked no doubt? The critical reception Gloucester Docks got was pretty positive but did you meet any resistance to it? Was there ever the temptation to leave it as a glorious one off statement or did you always intend to tour the material later? What difficulties did you find playing the songs live? And there matters might have lain, Ashley had an admired creation and time heals or at least covers over any wounds, lets other things take precedence. It was the reissue by Talking Elephant which raised the album’s profile once. Not only did it come out on CD but they restored it to vinyl. It must have taken a lot of careful, personal thought, in terms of emotion and logistics. The finished product is a lavish presentation. Can you explain why you felt it important this have wider scope than the first album. Was it always going to be a mix of sources, I know you’ve always thought words as valid as music but here there are examples from screen plays, is cinema another of your interests? Did you decide against a fixed band approach early on? You kept some old associates on there though. Tell me something about J.J Stoney and Fred Claridge they’re newer names to me? 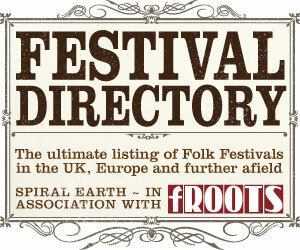 Whilst much of the story has links to folk I assume that you don’t want this to be seen as a folk album? You changed some lyrics to Kitty Come Down The Lane, why was that? Was there much tinkering with the previously recorded material? A lot of the new additions concentrate on more optimistic elements was that on purpose or do you think they tell more, maybe keep things just as discreet? Thirty Two Years Is a Lifetime makes a lovely coda but it holds many instances which suggest maybes, did you find it easier to write about those times in 2017/18 as you did for the original release? You write that you’re back where you first started, what are the positives you’ve brought forward? Why the second disc and how does it reflect the first? This disc has even more cinematic references. I find a lot of West Side Story in Welcome To The World, are there snippets like that for people to connect with? You bravely put a lot of yourself into the second disc as well, especially Above The Angels. How important was it to you to have your son along? No touring or shows planned for Paradise & Thorns? What is your hope for the album? The milieu of both albums is the world of English traditional dance, have you remained in touch with the changes and recent trends in that genre? The answer is perhaps obvious. “No, I never kept in touch with the dance scene. If you are the right kind of person then dance can be a social and emotional experience. When I was heavily into folk dance in the seventies and eighties there were many different kinds of dance experiences to be had.